Hello, this is Kurakagi, M1 student from Yamamoto lab. The first time I wrote this diary. Last Friday, we held the welcome party for 3 new undergraduate students of our group. It was the first time I organized the welcome party. I hope they enjoyed it. They firstly have their graduate thesis tasks and 2 of them are planning to go to graduate school. I hope they all will succeed in their studies and we'd like to enhance each other up. 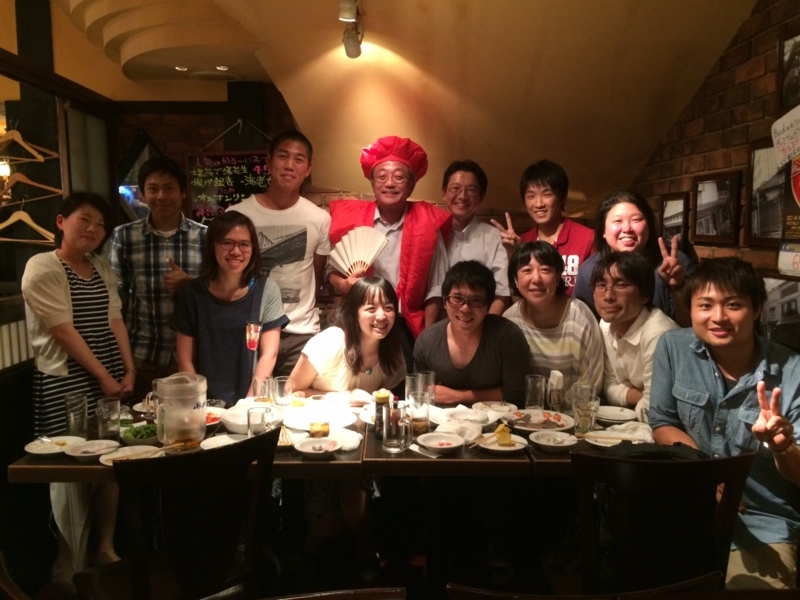 By the way, we celebrated Prof.Yamamoto's 60-year-old birthday at the same time. 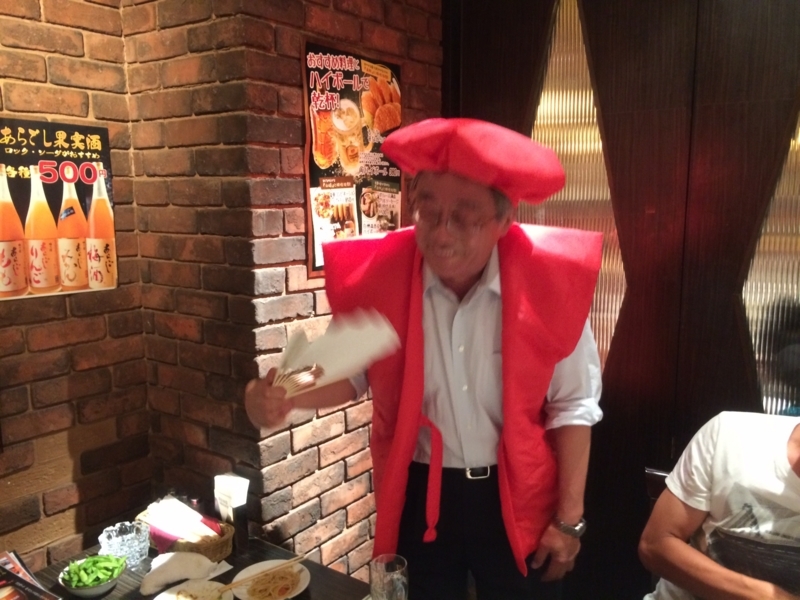 He put "Aka-chanchanko" on, which is often worn at 還暦 "Kan-reki", a Japanese memorable day of 60-year-old birthday. I uploaded the group photograph that was taken at the party. FIFA World Cup does not really let me sleep enough for this 1 month. I watch games almost every night and morning. Which nation do you think will win the World Cup? It was unbelievable Espanyol was thoroughly defeated by Netherland. I feel like I could have gotten a glimpse of "Flying Dutchman." I was really glad about R. van Persie's activity. Manchester United FC, which he belongs to, is my most favorite team.